In the spirit of giving, many POET Biorefineries choose a different way to spread holiday cheer this year. Instead of sending out the traditional holiday card with well wishes, many locations chose to take that holiday card fund and present it to a local charity. The donations went to food pantries, domestic violence shelters, churches, toy drives, Angel Trees and an Operation Elf program – just to name a few. 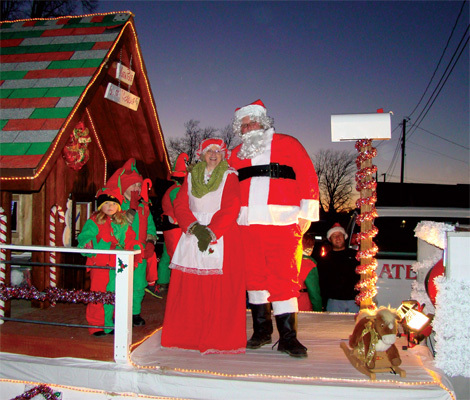 The team at POET Biorefining – Corning participated in a number of parades with their “Santa’s Workshop” float this past holiday season. The float won the Holiday Spirit Award at the Clarinda Lighted Christmas Parade and 1st place in the Business Division at the Adams County Lighted Holiday Parade in Corning. It was the team’s intent to not only participate in the parades, but also provide a worthwhile project that could be donated to the community. The actual building which sits on the float has been donated for future use to the Adams County Chamber of Commerce. Starting in 2013, it will serve as Santa's Workshop in the Corning Park where Santa will greet little ones filled with Christmas wishes. 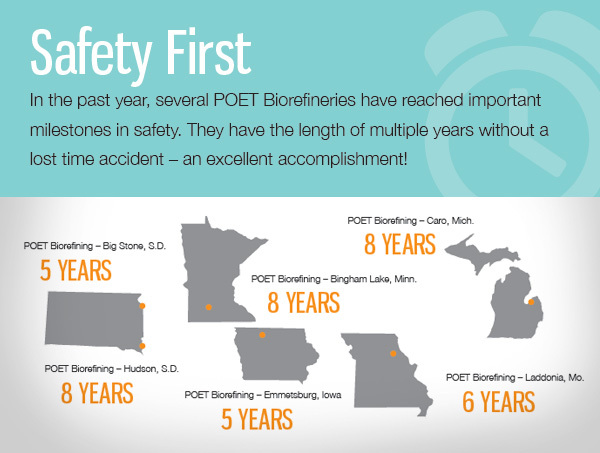 POET Biorefining – Groton, S.D. sponsored two families this holiday season. They provided a traditional Christmas dinner and gifts for the children. POET Biorefining – Mitchell, S.D. sponsored a family through the Angel Tree program for the 2nd year. They provided the fixings for a complete turkey dinner and provided clothing and toys for five kids ranging in ages from 6-13 years old. 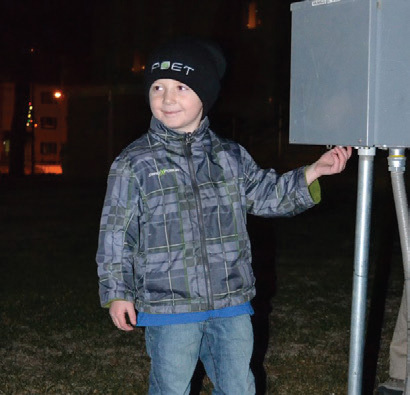 Hunter Harms, grandson of Jorgen Paulsen, Senior Grain Buyer at POET Biorefining – Hanlontown, Iowa, is lighting the Christmas tree at the Winnebago County Courthouse in Forest City, Iowa. Hunter’s name was drawn for the honor from dozens of kids who submitted their names in November. 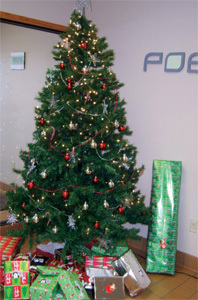 POET Biorefining – Glenville, Minn. Ethanol Cares program followed tradition and supported families in need for the 11th year this Christmas. The program was created to help families in need over the holiday season and so far, has assisted 200+ families. Care packages have gone overseas to soldiers and were given as disaster relief gifts to families affected by fires, tornadoes, and hurricanes. Coats and boots have been purchased for children of all ages and every year supplies are purchased for the local Ronald McDonald House. POET Biorefining – Cloverdale, Ind., hosted the Indiana State FFA Officers for a tour in December. Throughout the year, most POET Biorefineries host a variety of groups at their individual plants. 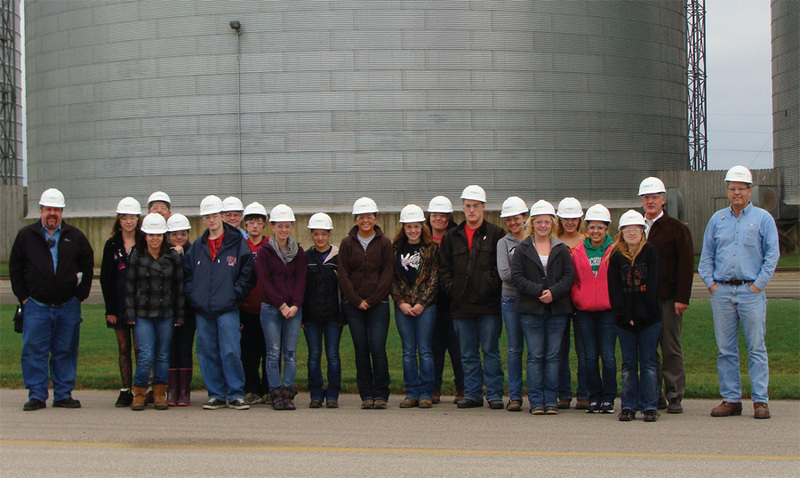 From college students to FFA officers to politicians, a tour of an ethanol plant brings the reality of biofuels to life. 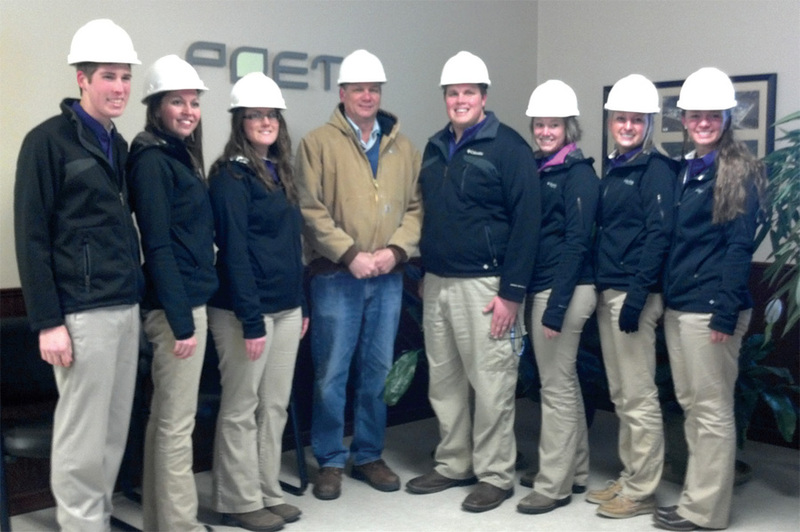 General Manager Dave Gloer gave the Agri-Science students from Tuscola Technology Center a tour of POET Biorefining – Caro, Mich. 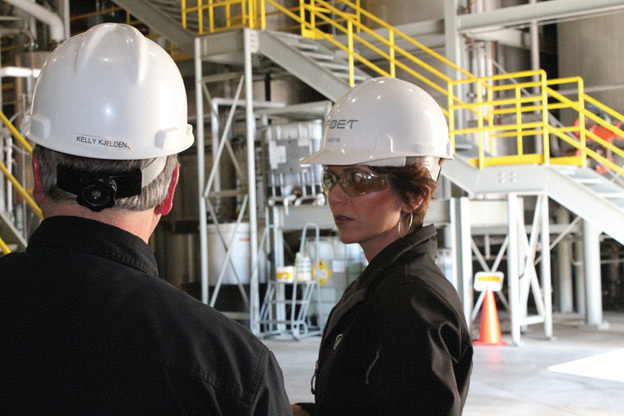 While hosting a group, the General or Technical Manager leads groups through the ins and outs of the ethanol production process. The enormity of an ethanol biorefinery is enough to amaze most visitors. It’s usually not what they expect. Chris Hanson, Technical Manager at POET Biorefining – Preston, Minn. gave a tour to the high school chemistry class at St. Charles High School , St. Charles, Minn.
Kristi Noem, U.S. House Representative for S.D., tours POET Biorefining – Groton, S.D., with General Manager Kelly Kjelden. After a tour of the biorefinery, visitors leave with a better understanding of the clean and efficient production process of ethanol. And usually a new acceptance for the biofuels world.